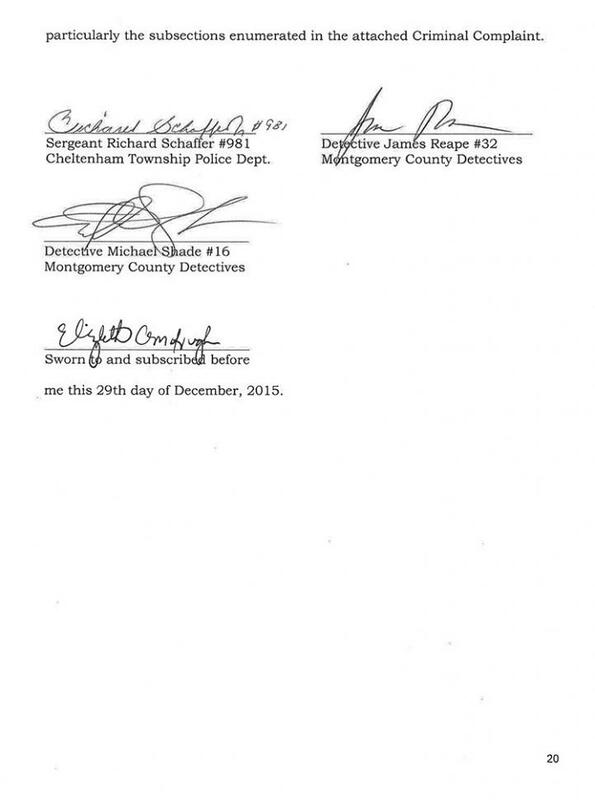 DECEMBER 30--The felony sexual assault charges filed today against Bill Cosby are laid out in a detailed 20-page probable cause affidavit prepared by Pennsylvania investigators who portray the 78-year-old comedian as a pill-peddling predator who attacked his incapacitated victim and later sent her home with a blueberry muffin. 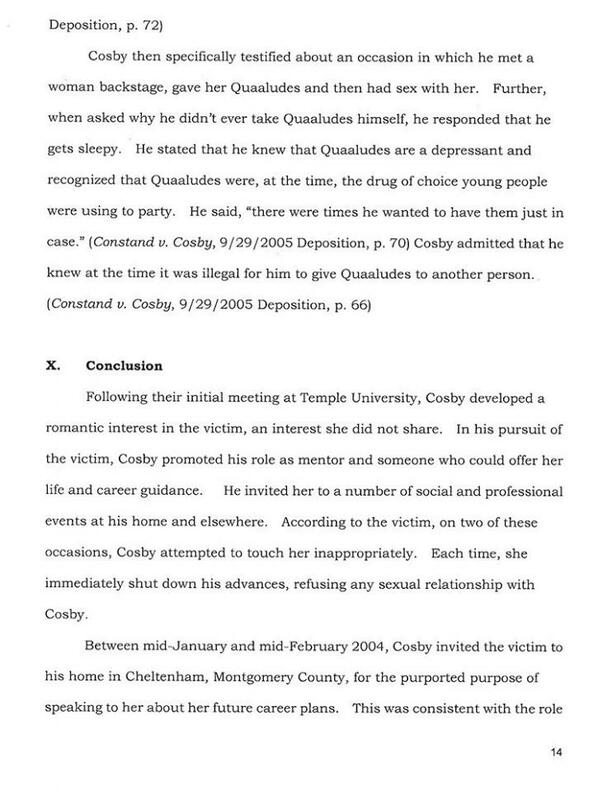 The affidavit describes Cosby’s alleged 2004 assault of Andrea Constand, 42, in his home in Cheltenham, a Philadelphia suburb. 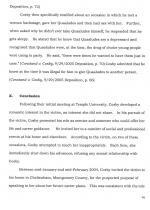 Constand, who met Cosby while working at Temple University, the comedian's alma mater, said that she considered the star her “mentor,” a relationship that the comedian later told police he fostered. 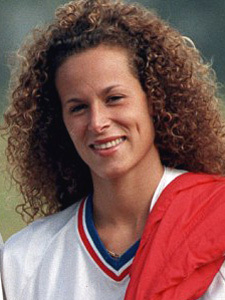 Constand told police that she maintained a relationship with Cosby despite the fact that she had to block two unwanted sexual advances made by the entertainer. 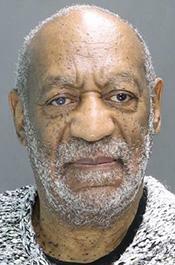 Constand (seen at right) told investigators that she had gone to Cosby’s residence in early-2004 to talk about her career plans, adding that she told the performer that she felt “drained” and “emotionally occupied.” During their talk, Cosby told Constand that he “wanted her to relax,” according to investigators. 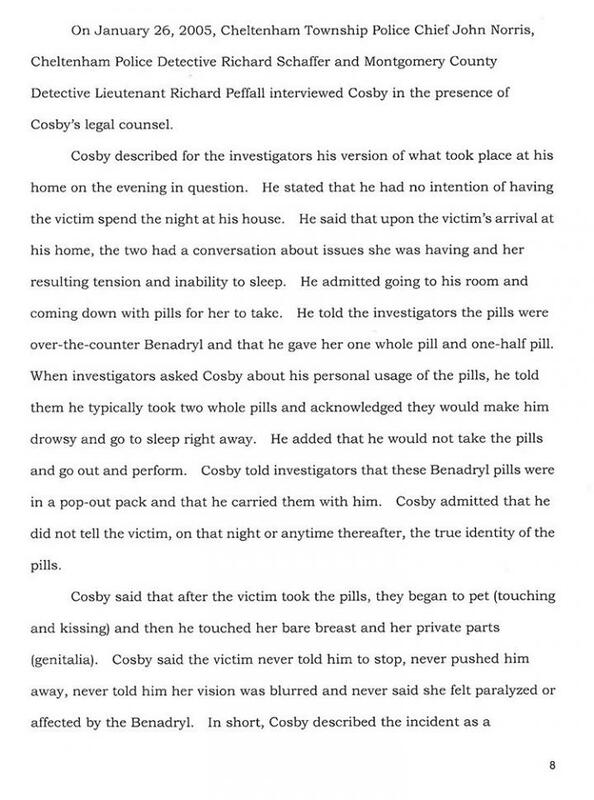 At one point, Cosby went upstairs and returned with three blue pills in his hand, Constand told police. 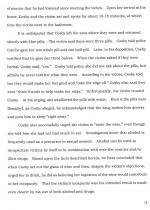 “These will make you feel good. 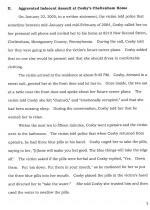 The blue things will take the edge off,” Cosby reportedly told Constand. 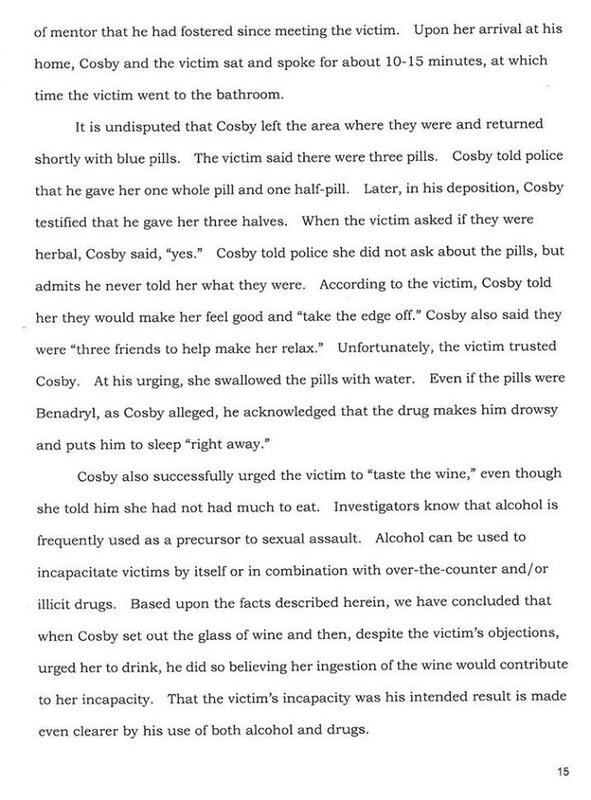 According to Constand, Cosby then told her to “taste the wine.” When Constand replied that she had not eaten anything that day, “Cosby again directed her to ‘just taste the wine,’” investigators allege. 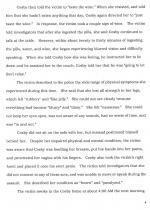 Constand said that when she awoke the following morning at 4 AM, she discovered her sweater bunched up and that “her bra was undone and had been moved above her breasts.” As she walked toward the door, she spotted Cosby--who was wearing a bathrobe--standing at the bottom of the staircase. 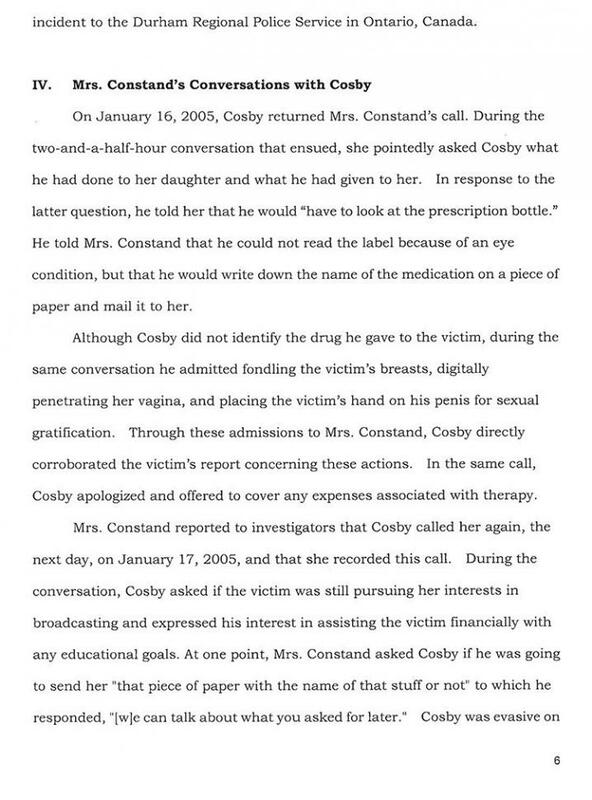 “Cosby gave her a muffin, walked to the front door, opened it, and said, ‘Alright,’” the affidavit states. 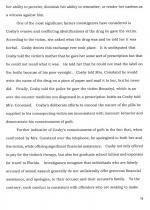 During the initial phone call--which lasted two-and-a-half hours--Cosby reportedly admitted engaging in sexual contact with Constand and “apologized and offered to cover any expenses associated with therapy.” When asked about the pills he gave Constand, Cosby said that he would “have to look at the prescription bottle,” adding that he had difficulty reading the label due to an eye condition. 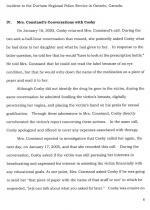 Cosby told cops that he apologized twice to Constand’s mother and asked “what she wanted him to do.” According to the comedian, Gianna Constand “said there was nothing he could do and that his apology was enough,” the affidavit states. 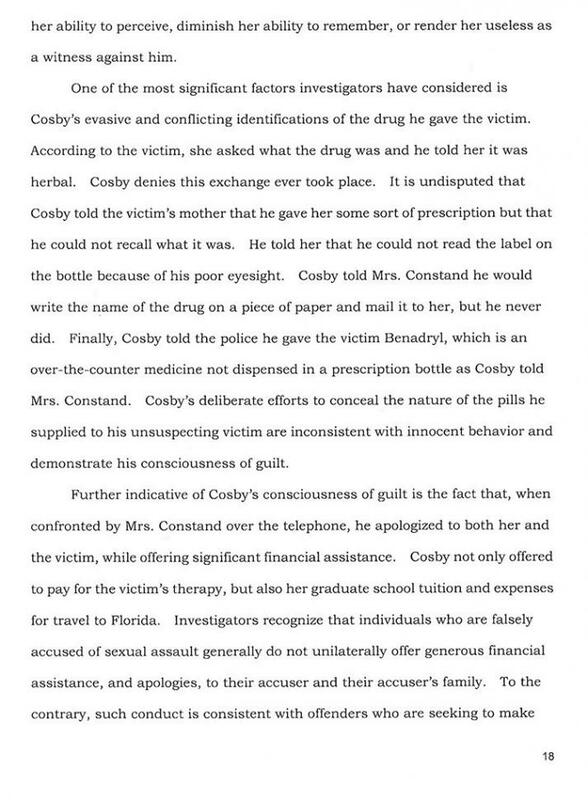 Additionally, Cosby told police that he offered to “pick up the tab” for Andrea Constand to attend graduate school. 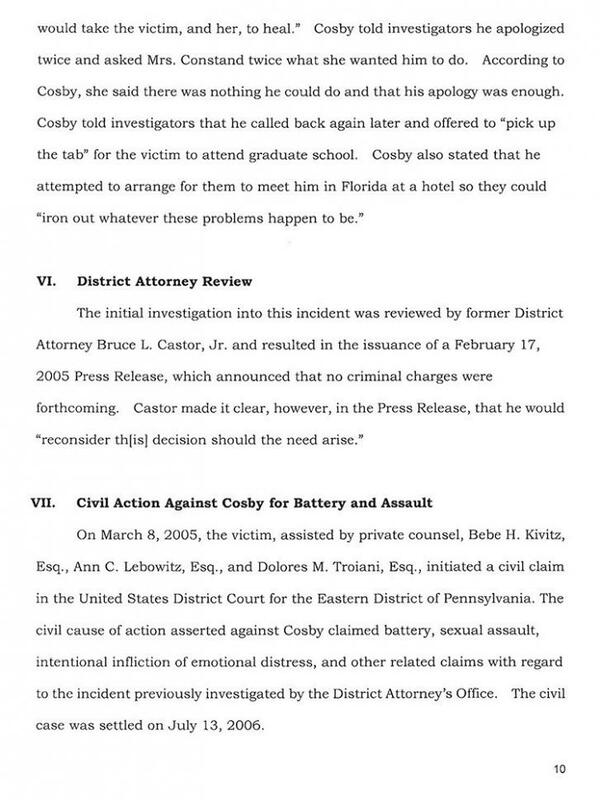 While Pennsylvania prosecutors initially declined to file charges against Cosby, the case was reopened in July in light of the torrent of similar sexual assault allegations made against the entertainer, as well as the unsealing of Cosby’s deposition in a civil suit brought against him by Constand (the matter was eventually settled, with financial terms subject to a confidentiality agreement). 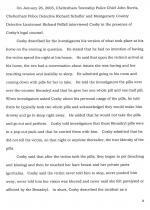 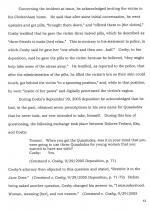 During Cosby’s civil deposition, he admitted grooming Constand for a romantic relationship, and referred to the pills he provided her as “three friends to make [her] relax.” The entertainer recalled situating himself “in the spooning position” behind Constand and digitally penetrating her. 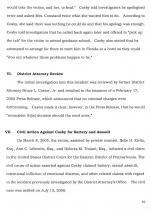 The criminal charges against Cosby were filed only days before the 12-year statute of limitations on aggravated indecent assault was to expire.